15th May 2002 Satellite images have detected another in a series of massive icebergs calving off the frozen continent of Antarctica, the latest one bigger than the entire state of Delaware. Dubbed iceberg C-19, the massive, rectangular ice block measures roughly 124 by 20 miles (198 by 32 kilometers), or 2,480 square miles (6,336 square kilometers) in surface area. While not quite the biggest iceberg to break away from Antarctica in recent years, C-19 is about 20 percent larger in area than the state of Delaware. Last week, another new berg broke free. It was dubbed C-18, and measured roughly 47 by 4.6 miles (75 by 7 kilometers), or just less than 10 times the area of Manhattan. 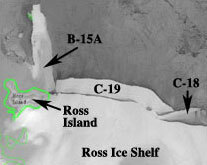 C-18 and C-19 are adjacent to each other on the edge of the Ross Ice Shelf, a massive expanse of ice extending out from the continent in the portion of Antarctica that is nearest to New Zealand. In recent years, a series of increasingly larger icebergs breaking free from the continent have raised concerns that temperatures are on a steady warming trend in the Antarctic region. Such a trend, which many scientists believe may be an early sign of global warming, could have implications for climate changes over much of the planet's surface. Future Climate... When scientists who believe in evolution study past climates, they conclude the earth has experienced many climate changes. They believe there were extra warm periods, and there were ice ages. They believe that at the present time we are living in a warm period between ice ages. Therefore the next ice age is due soon. According to the creation-Genesis flood model there was only one ice age. It was caused by the flood. Since God promised to never send a global flood again, Gen 9:11-13 "I will never again send another flood to destroy the earth. And I seal this promise with this sign: I have placed my rainbow in the clouds as a sign of my promise until the end of time, to you and to all the earth." there will also be no ice age in the future. Before this ice age comes, scientists think the burning of fossil fuels will cause the greenhouse effect to grow stronger. More carbon dioxide will be added to the atmosphere. This will bring global warming and droughts in the future. The warming will melt part of the Greenland and Antarctic ice sheets causing coastal areas to flood. I believe that we are seeing a gradual warming of our planet, but is it all that surprising? For the Apostle Peter tells us in 2 Pet 3:10-11 "But the day of the Lord will come like a thief. 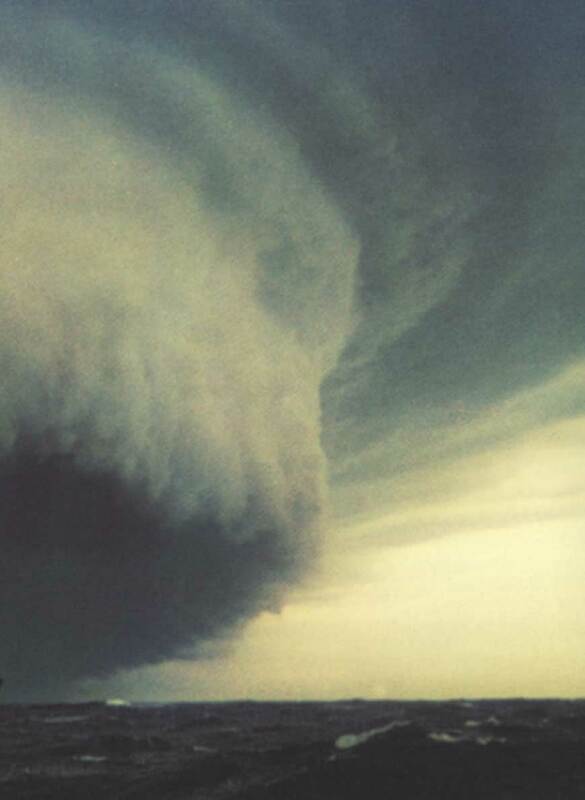 The heavens will disappear with a roar; the elements will be destroyed by fire, and the earth and everything in it will be laid bare. Since everything will be destroyed in this way, what kind of people ought you to be? You ought to live holy and godly lives" The Bible tells us that the Earth was once cleansed by flood, Noah's flood, and in the future it will be cleansed by fire. Perhaps we are experiencing the pre-warming period for this fire that will come suddenly like a thief. For the believer there is the hope of God's promise of a new heaven and a new earth! 2 Pet 3:13 "But we are looking forward to God's promise of new heavens and a new earth afterwards, where there will be only goodness."